Water Heater Services | Boston, MA | Cooling Unlimited, Inc.
You must have a water heater working in your home—there’s no way to make it through a day in comfort and cleanliness without one. Water heaters have their own needs, as well, such as professionals to see that they are installed accurately, repaired when necessary, and regularly maintained so they provide years of worry-free service and low energy costs. Where can you find the complete water heater service you need in Boston, MA? It’s right here at Cooling Unlimited, Inc.. We have a long history of taking care of water heaters for homes in the area. Call us to schedule new installation or replacement. If you have a repair concern, you can reach us 24/7 for emergency response. We want you to enjoy your home’s water heater for many years, so call us as soon as you need assistance. 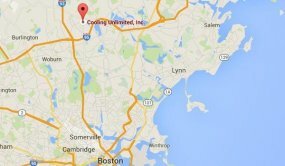 For comprehensive service for water heaters in Boston, MA and the surrounding areas, contact Cooling Unlimited, Inc. today. If you are planning to replace an old hot water heater, or if you have a new home and want to have its first water heater installed, you’ll probably be a bit confused about what type to get. There are many options on the market today, such as storage, tankless and heat pump water heaters. And how big a water heater will you need to meet your family’s needs without wasting money? You don’t need to fret about making all these choices, however. You want to leave the answers up to a professional installer. When you call on an expert, you’ll receive the advice you need, followed by the skilled installation/replacement that will make sure that the new system lives up to your high expectations. Odd noises from the tank, such as rumbling. Signs of water leaking around the tank. A sudden and unexplained rise in heating bills. Reddish tint appearing in the water from the hot water taps. A drop in the volume of hot water available. Don’t ignore any of these signs: call our professional repair technicians right away. The pressure of water and metal plus energy in a water heater will cause a system to begin gradually to wear down. You can alleviate this erosion over time and give the water heater a longer and more energy–efficient lifespan with routine maintenance. Let our Boston, MA technicians pay your water heater an annual visit to inspect, clean and tune it up. This is the best way to protect your original investment in the water heater—and protect your family’s hot water supply. Here’s an option to consider for your next water heater installation: a heat pump water heater. These appliances work the same as standard heat pumps, which is that they absorb heat from the air in one place and release it in another. In this case, they absorb the heat and then use it to warm up the water in the tank. Heat pump water heaters are a great energy–efficient alternative to standard electrical water heaters. Also known as storage water heaters, these are the most common type of water heater found in homes today. They remain a reliable source of hot water for families. Our technicians will install a new one in your home or provide the repair and maintenance services for your current one—and replace it when it’s too old to continue working. This innovation in water heating technology has been popular for many years in Europe and has recently made a large impression in homes in the U.S. A tankless water heater uses less energy than a conventional water heater, has a longer service life, and will never run out of water because it heats water only when it’s needed. If you’re looking for tankless water heater services in Boston, MA, give us a call. Whether you need water heater repair or are looking to install a new system, give the plumbers at Cooling Unlimited, Inc. a call. Our professional plumbers have experience working on a number of water heater models and brands. Contact us today to schedule water heater services in Boston, MA and the surrounding area.